Don’t we all want to know who was carrying reality star Kim Kardashian’s third child? It’s been two months now Kim Kardashian announced birth of her third girl child, Chicago West. We all knew Kim Kardashian welcomed her third child through surrogatem but we did not have a hint who was that woman. 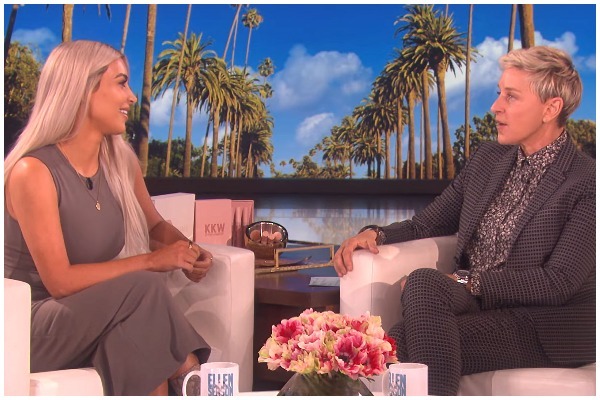 Ellen DeGeneres is revealing the woman who was behind carrying Kim Kardashian’s baby. Lo, behold! You will be surprised to see the lady as we all know her well. It’s Ellen DeGeneres who carried Kim’s child.Don’t believe? Well, you don’t have to. The comedian pulled Kim’s surrogate look into the season 14 finale of Keeping Up With the Kardashians when Kim brought her real surrogate to meet her mom and sisters.